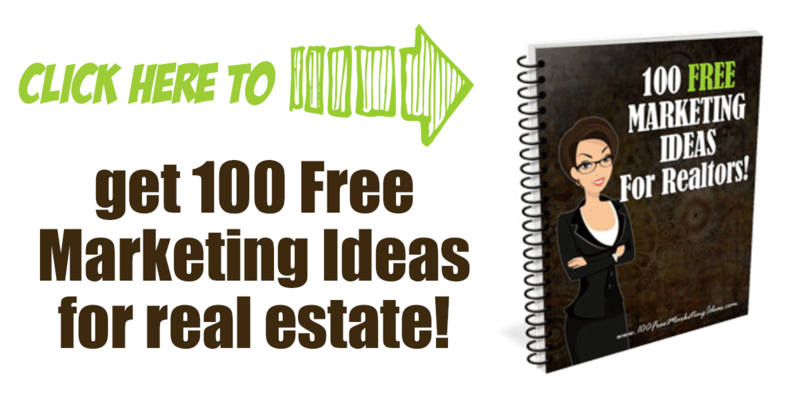 This one is for my real estate marketing peeps! Please stop buying into the idea that you have to have real estate agent branding to have a successful business. 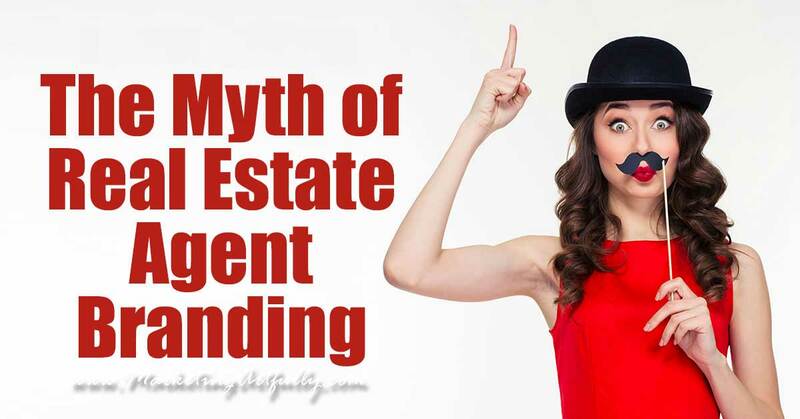 I spend A LOT of time with real estate agents and often they want to talk with me about their branding. Should they use their company colors? Should their headshot be a normal real estate agent pose or something unique? What should their yard signs look like? Should they brand their social media posts? 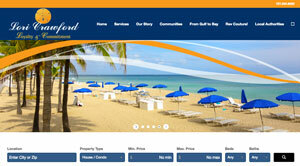 Should they get a new website, brochure or logo? The angst about this topic is often overwhelming to a new agent or one that is considering “rebranding”. So let me answer your question right now… NONE of that matters! Wait, what? A marketing expert who says branding doesn’t matter? Blasphemy! If you are a new agent and are asking a million questions about branding, cut it out! You should be doing real estate things like shadowing a top seller, attending trainings or holding open houses. 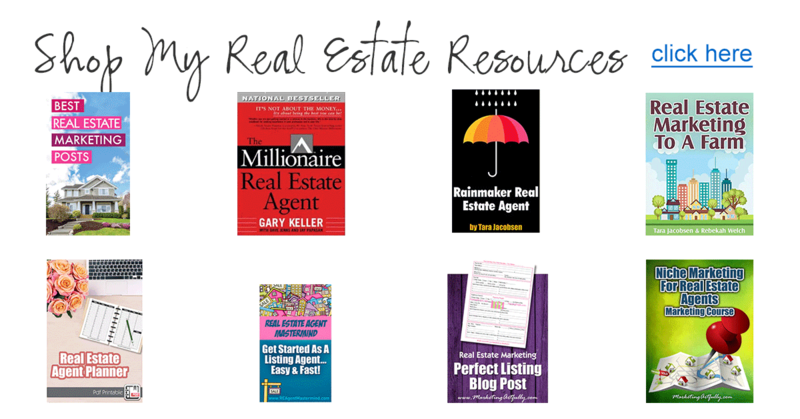 Read the Millionaire Real Estate Agent and realize that top producers are not relying on a “brand” to make them successful. 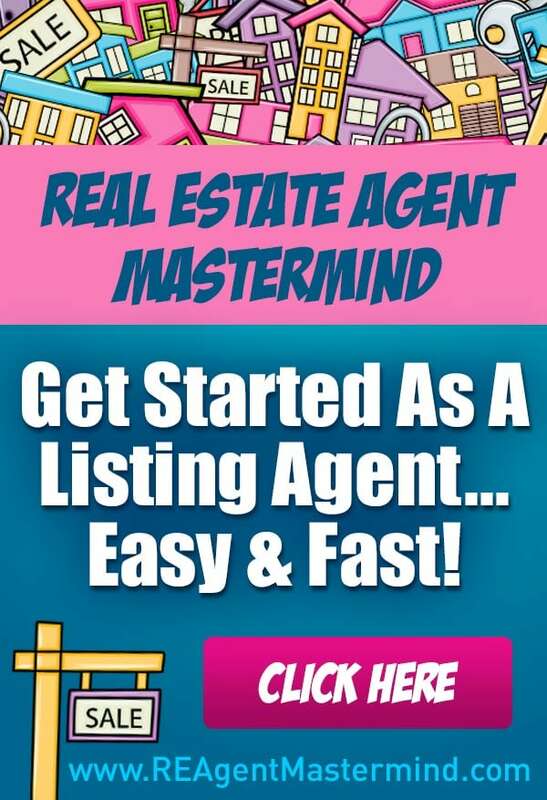 (#ad) Do real estate agent-y things and get your business going before you worry about what your brand will be when you get successful… spend your time GETTING successful!! For successful agents who are considering a rebrand, think about whether doing that will add to your bottom line! There are a TON of expenses when you do a re-brand including new business cards, yard signs and website redesigns. Could all that money you are about to lay out possibly go to something more productive like making videos, hiring an admin or Facebook ads? So if you are still determined to brand your real estate business, think about WHY you are so consumed with this. Did you attend a training that said you would die in obscurity if you didn’t have a brand? Does another successful agent in your office have a brand and you are jealous? Are you bored with your business and need a boost? None of these are good reasons to make such a huge commitment of money and time! Okay, if you got down here and are still determined to brand your business I recommend the following steps over the next 3 months! If your mission is to sell more mountain homes than any other agent, you will be able to know that your logo and collateral best have mountains in it! 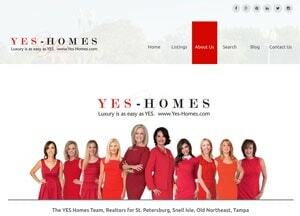 Want to be a luxury agent? Then you should have high end pictures and use branding that will appeal to an older clientele. Set yourself up with a Pinterest board and start collecting pictures and examples of branding you love. You can make it private so you don’t look like a crazy stalker. This will serve two purposes… 1. you will be able to find out what you like and 2. you will be able to share your best ideas with a designer. Doing this will help you to get a clear view of what you like! 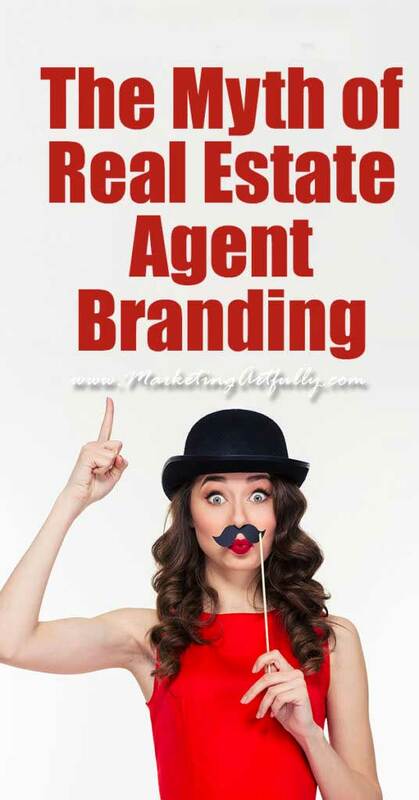 So what SHOULD you for your Real Estate Agent Branding? I thought it would be fun to show you a few gals who are rocking their branding and tell a little of their story so you can make sure you are on the right track! Okay, this is a super fun story. So I was teaching about real estate agent marketing in Palm Harbor years ago and this lady in the middle stood up and started asking all kinds of questions about branding. She was sure she should do waterfront or luxury or some other shite, but she talked funny so I asked her where she was from… IRELAND! Are you freaking kidding me? OF COURSE I told her she should be the Irish Realtor! She hemmed and hawed and said she wanted to be different, but she WAS different! She was from another country and cussed and was delightful. I just found this site and while there are some things I think they could improve, their branding of their principals and agents is BRILLIANT! I love how they have everyone in red and that this theme continues on to the individual head shots of the agents and support staff on the team. THIS is how you use a color to brand your business in a classy and cohesive way. Well done Yes ladies, well done! 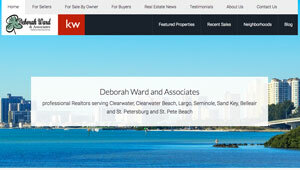 Over the years I have done branding for a bunch of different real estate agents, but none was as focused as Lori. She was coming out as a new agent and knew EXACTLY what she wanted. She wanted to work with high end clients, have a sand dollar and use the tagline Loyalty and Commitment to go with her initials (L and C). Doing her branding was easy. We used classy lettering, blue and gold which are high end colors and (of course) had her sand dollar. Lori uses that sand dollar on her business cards, wine labels she gives as gifts and even has had them made into chocolate! If you are THIS sure of what you want your branding to be, go ahead and get it done. If not, wait the 3 months and see if it is still as important to you then! So am I saying that you shouldn’t do real estate agent branding? Nope! I am saying that A) you should know why you are doing it and B) take the time to do it right so you don’t have to do it again. I generally do branding for my business and products in a short time and then a while later decide that I HAVE to change the branding. Sigh. I generally stop myself and ask, is this the MOST IMPORTANT THING I can do for my business right now? The answer is NEVER “yes, this will change my life” when it comes to branding. A strong brand is important, but don’t think that it will make or break your business.